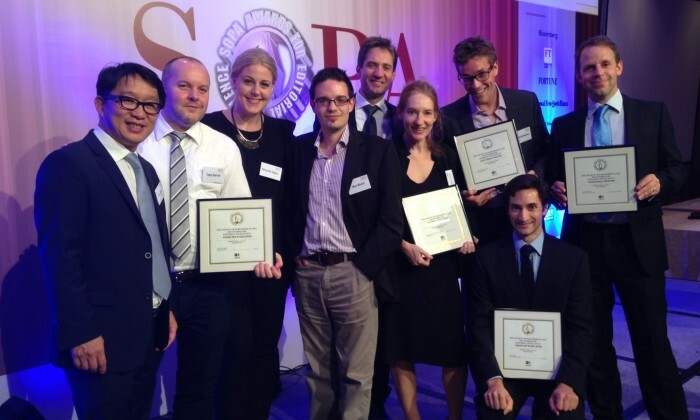 The Society of Publishers in Asia (SOPA) have received a record-breaking number of entries for the 2016 SOPA Awards for Editorial Excellence for the second year in a row. Now in their 18th year, the SOPA Awards attracted more than 700 entries in English and Chinese. The awards are widely regarded as the most prestigious in the publishing industry in the Asia Pacific region. The list of finalists will be released in May, and the winners will be announced at a gala dinner on Wednesday, June 15, 2016, at the Hong Kong Convention and Exhibition Centre. “The number of entries again this year illustrates how much SOPA recognition is valued,” said S.K. Witcher, chair of the SOPA Editorial Awards Committee. The SOPA Awards for Editorial Excellence are given in 18 categories, including news, photography and lifestyle coverage. Last year, local and international organizations as Reuters, the Financial Times, The International New York Times, Time magazine and the South China Morning Post were among the recipients. One of the highlights of the gala dinner is the award for Journalist of the Year, won last year by Nancy Carvajal of the Philippine Daily Inquirer. The judging panel will be led by Jeffrey Timmermans, an associate professor of practice at JMSC and director of its undergraduate journalism program. The deputy head of judges will be King-wa Fu, an assistant professor at JMSC. “The SOPA Awards for Editorial Excellence are recognized as the industry ‘gold standard,’ celebrating the very best in journalistic quality and integrity,” said SOPA Chairman Raymond Warhola. The SOPA 2016 Awards for Editorial Excellence will be held at the Hong Kong Convention and Exhibition Centre on 15 June.